Thomas J. Vilsack is the former governor of Iowa. My governor. He drifted away from Iowa in a bubble of political correctness to land in the chair of U.S. Secretary of Agriculture. The “push for the training” is coming from Vilsack. Why? Does he have too much time on his hands? 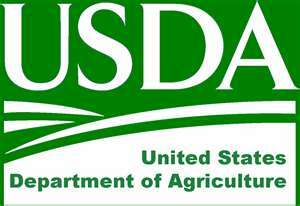 Is there not enough work to be done with farm service agencies? Food and nutrition? The forest service? Rural development? Food safety and inspection? What does agriculture have to do with homosexual sensitivity training? Elaine Donnelly, who heads the Center for Military Readiness, has long opposed the repeal of the military’s ban on acknowledged gays. She told the Washington Times, “There are disturbing implications for national defense in the USDA’s development of a ‘groundbreaking’ training program that is to become a model for other federal agencies.” She notes that “thousands of experienced troops, starting with chaplains and people of faith who do not support LGBT ideology and activism” would be driven out of the military. Vilsack’s bubble of political correctness will burst. Of that I am sure. But, before that happens, I wonder. How many people and institutions — including the family — will his “cultural transformation” affect? Why is it more important for the USDA to be a leader in gender-identity diversity training than growing food to feed the world? The work of the agencies can be done more efficiently when the lgbt employees who are already employed can work without jumping the hurdles that heterosexism presents.